This tournament report was submitted by Malcolm Wong. This was held at the ASB Sports Centre in Kilbirnie, as part of the annual 3 day multi-sport tournament (26-28 May). There were Men’s Singles, Women’s Singles and Mixed Doubles. With 1 point for each win, the overall winner depended on the last mixed doubles match between Wellington and Auckland. Wellington won 3-2 to finish first from Auckland and Christchurch. This was the first time Wellington has won, previous winners were Auckland (2012 & 2014) and Christchurch (2013). Luke Istead (Auckland) retained the Men’s Singles from last year. Malcolm Wong was the Referee, while he and Robert Chung umpired the matches. Robert Chung (Umpire), and Men’s Singles players Luke Istead (Auckland), Keanu White (Wellington) and Cody Warnock (Christchurch). 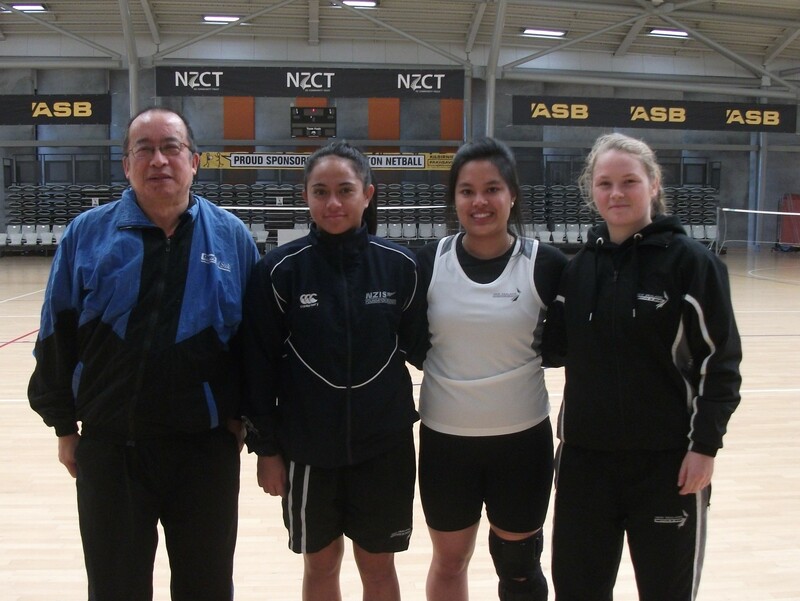 Malcolm Wong (Umpire) and Women Singles players Jocephy Daniels (Auckland), Nella Galang (Wellington) and Arna Roberts (Christchurch). Malcolm Wong (Umpire) and Mixed Doubles players Devoe Papata & Elvina Waipoun-Siale (Auckland), Manutai Hira & Nella Galang (Wellington) and Arna Roberts & Albert Stanciu (Christchurch).